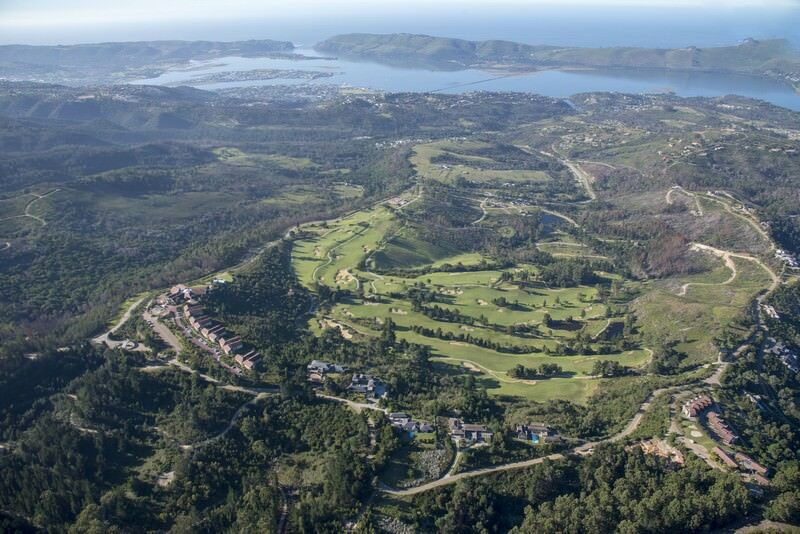 Simola Golf Course is tucked away amongst the lush Knysna forests of the Garden Route. 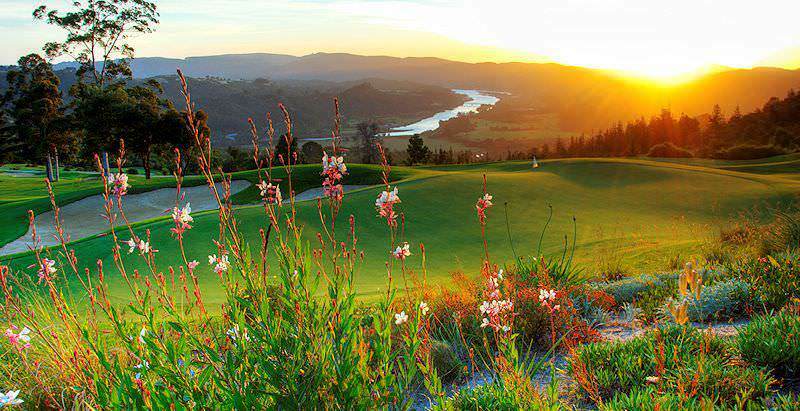 Simola Golf Course is located within a sprawling emerald-green estate that provides a breathtaking backdrop to a South African golf holiday. 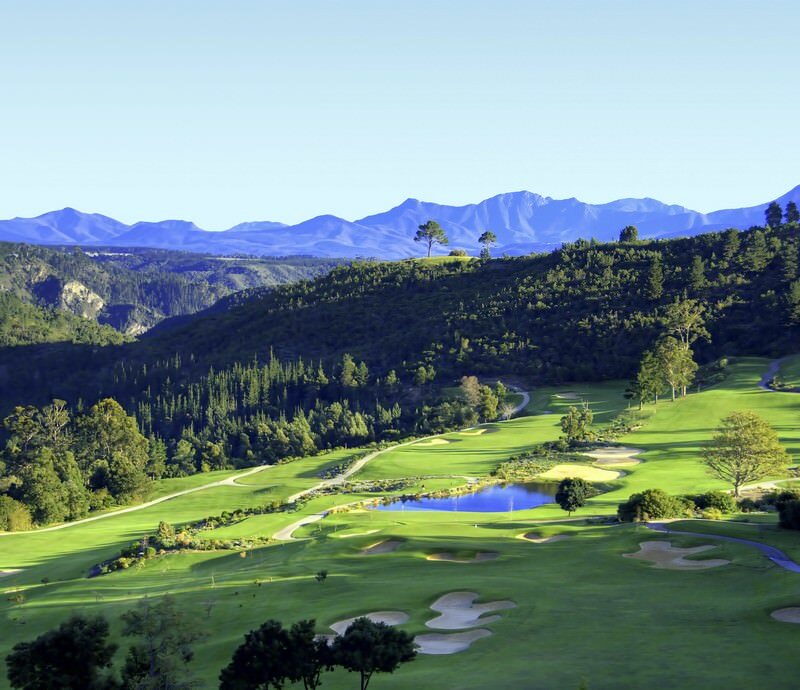 A few minutes outside the scenic coastal town of Knysna, Simola offers A-grade play in the tranquil natural setting of the Garden Route. Wedged between the impressive façade of the Outeniqua Mountains and the sparkling Indian Ocean, Simola establishes itself above other coastal courses with its wind-protected location below the high ridges. 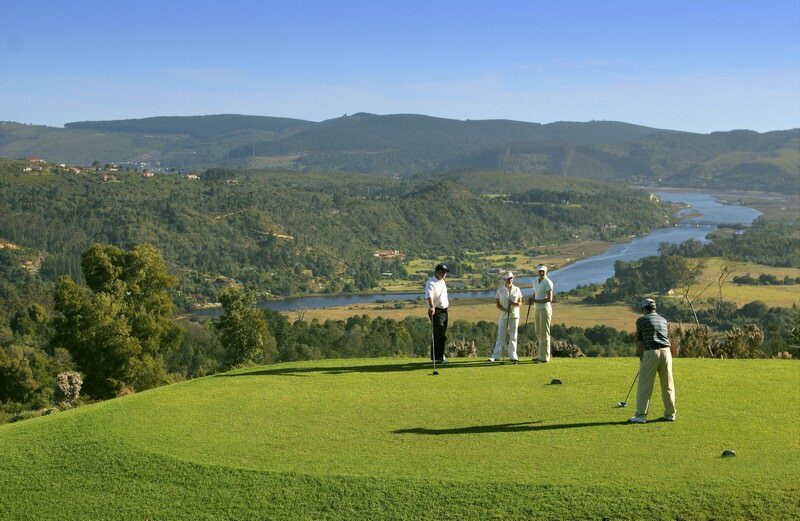 The Simola Golf Clubhouse forms part of the recently established Simola Hotel. Guest of the hotel and club members have access to hotel facilities like the gourmet restaurant, indoor pool and Wellness Centre. 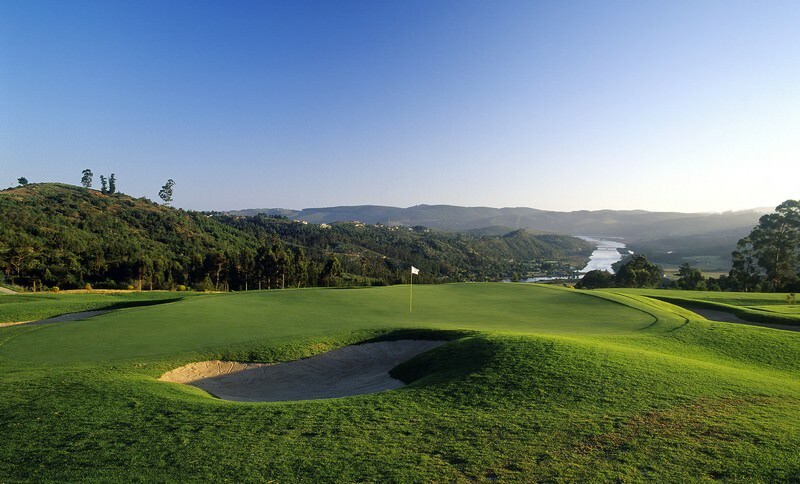 The Simola Golf Clubhouse also offers spacious changing rooms and an exquisitely appointed lounge. There is also a proshop with state-of-the-art golfing equipment, stylish golfing apparel and a whole host of items to enhance your golf experience. Every hole boasts distractingly beautiful views, and concentration is thus key. 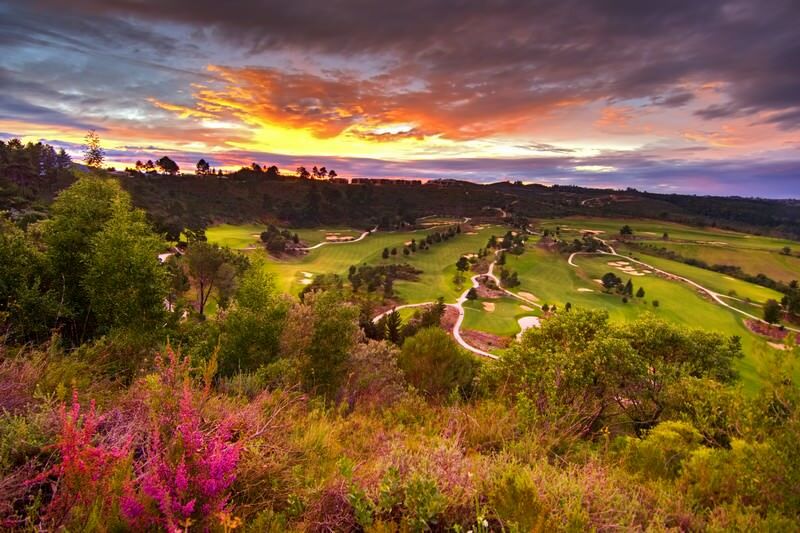 The signature Jack Nicklaus Simola Golf Course rolls down from the hills toward the lagoon, attesting to his typical design stamp of adapting the layout to the natural lay of the land. 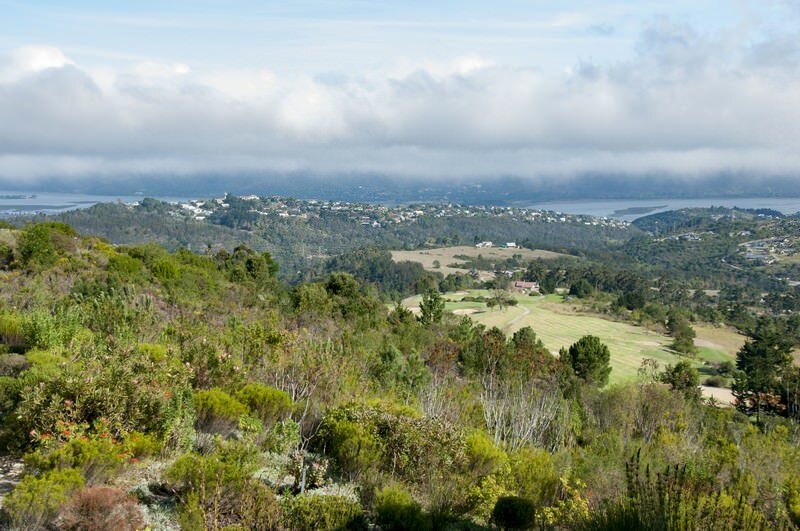 The Knysna area offers prolific indoor and outdoor activities to enhance your Simola experience, such as the pristine Featherbed Nature Reserve, the wealth of lakes and fine beaches and delectable seafood dishes. South Africa is a captivating destination at the foot of the African continent. Botswana is a safari lover's paradise with a wealth of wilderness areas to explore. Namibia's seemingly desolate landscapes support a startling amount of life. Zambia's finest safari areas are the South Luangwa and Kafue national parks. Travel to Zimbabwe and tick the Victoria Falls off your bucket list. Mozambique is a tropical paradise of warm waters and pristine beaches. The Kruger National Park is South Africa's premier safari destination, offering prolific sightings of the Big Five. The Sabi Sand Private Game Reserve protects 65 000 hectares of lowveld wilderness on the border of the Kruger National Park. Cape Town is a magnetic and beautiful city that draws visitors from all across the world to its beguiling shores. A wealth of adventures are available in the Garden Route, from swimming with seals in the Indian Ocean to exploring the Cango Caves.